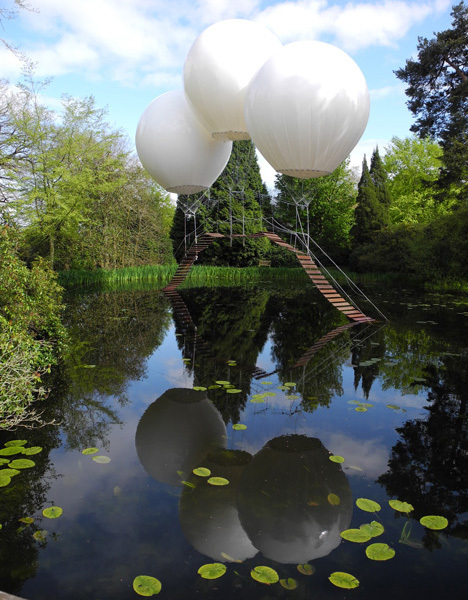 Neither this installation artist nor his work are full of hot air – this is no optical illusion or structural trick, but an actual bring hanging in mid-air that can actually hold the weight of a human user. 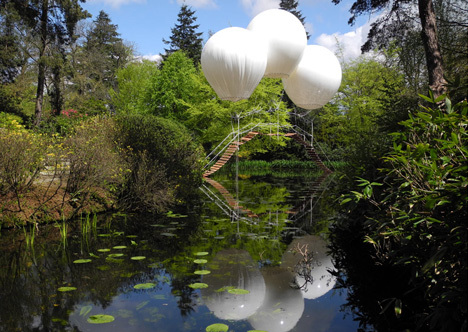 Oliver Grossetête (images by Thierry Bal and Toby Savage) crafted this lovely slatwork structure from rope, wood and synthetic fabric, installed over water at a Japanese garden for the Tatton Park Biennial. To call Grossetête obsessed with everyday uses for balloons would be an understatement. 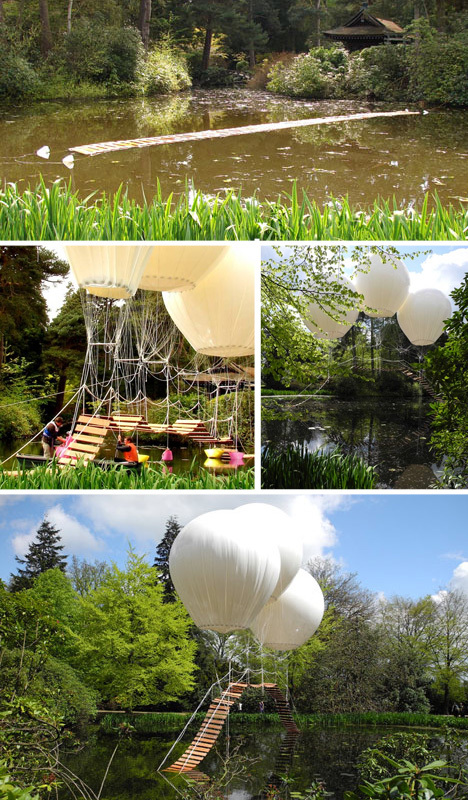 His other projects include a floating bench (strung up to helium-filled orbs) and a conceptual transportation system that (you guessed it) soars through the sky on the back of giant balloons. 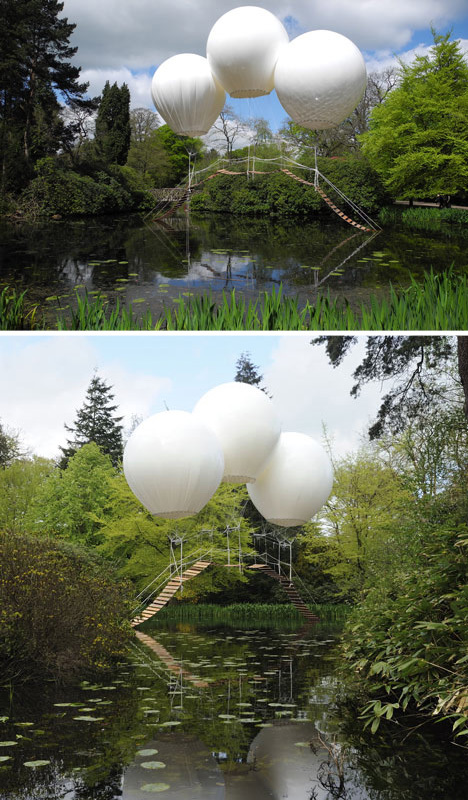 In this case, three large, evenly-spaced balloons create a series of rises in the path below, while the rope-and-wood slats allow some flexibility as the construct rises, falls and sways in the wind.